The Mens Skarvan Pants from Vaude are design to wake up your inner adventurer! Lightweight trekking pants made from a robust yet stretchy fabric (recycled polyamide and elastane). 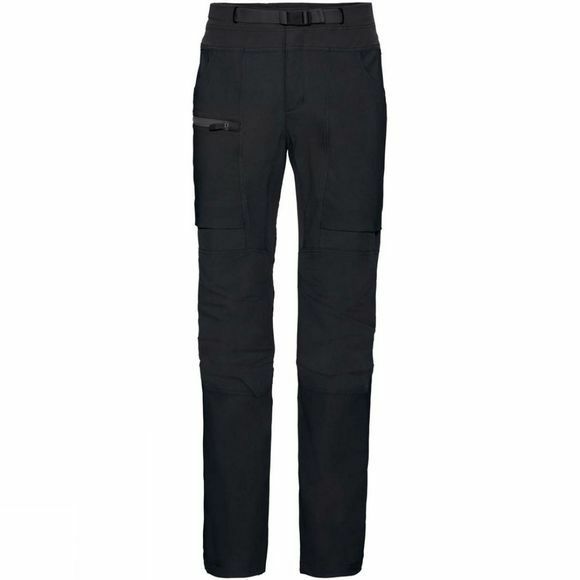 Primarily designed for longer trekking tours in cooler and mixed climate zones, these pants have a modern, casual look that's also great for the trip to your starting point or a short visit to the city. 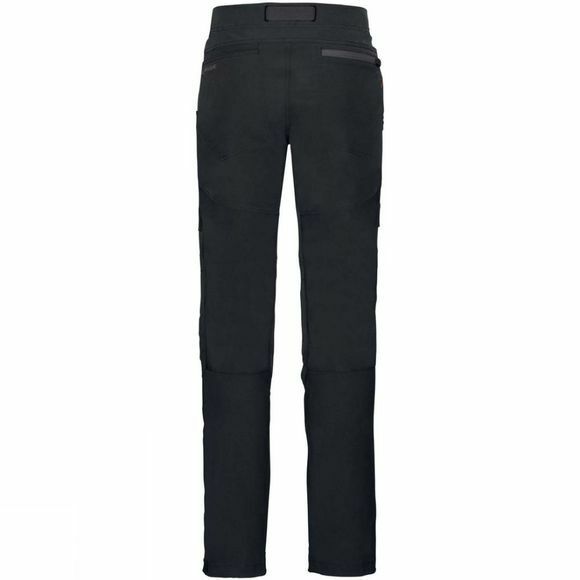 An integrated belt and three useful pockets round off these comfortable touring pants. This product is made with Eco Finish, an eco-friendly, fluorocarbon-free, water repellent finish (PFC-free). The Vaude Green Shape label stands for environmentally friendly, functional products made from sustainable materials.